NO ONE CAN SAY I am for restrictions of the rights afforded to US Citizens – especially for those protected by the first amendment. People, including those in agencies, should be able to use canonical words to refer to things and processes that impact their day-to-day work lives, and that impact public policy. Words have power because they convey meaning. So when reports came out that CDC was instructed to not use seven words in their budget, I was sure it could not have been correct. It hearkened memories of the command from on the Oval Office from George W. Bush to the then NSF Director Rita Colwell that no research proposals that included the term “evolution” were to be funded. It also reminded me that, ironically, I and hundreds of other members of the public had been censored by the CDC in an online public comment exercise regarding the completeness of the Vaccine Information Sheet (VIS) for the CDC. Attorney Jim Moody help us put an end to that. There are, however, some facts about the CDC that people who are calling Donald Trump “anti-science” (based on these reports, which are, according to an HHS official “mischaracterizations” of the actual discussions about the CDC budget. Let’s consider some reasons why it’s not insane to restrict funding to CDC for research based on the list of words. Somehow, in recommending the Tdap during pregnancy, CDC did it fully aware that there was insufficient safety data. ACIP based their recommendations on previous studies of the safety of toxoid-containing vaccines for tetanus. The move to push Tdap into pregnant women was based on the failure of the pertussis vaccination program (Tdap/DTap) due to waning immunity – and due to the fact that the vaccine can produce asymptomatic carriers. Vaccination of pregnant women with Tdap started in 2012. Also, somehow, in the ensuing vaccine safety studies, researchers failed to report one of the most important statistics imaginable that matters to hopeful moms and dads everywhere: they did not report the rates of fetal deaths (aka, spontaneous abortions and “non-live births”) experienced by pregnant women receiving Tdap vaccination during pregnancy. Somehow, these researchers claimed they did not have the resources to track this extremely important statistic. They also whined that it was too difficult to nail down the precise date of the fetal death, so they decided to not count them at all. So, vaccine safety science is so flawed, we didn’t even bother to do a prospective randomized clinical trial, in which case the outcomes could have been known. I’d like to know if CDC even tried to test for an association, found one, and threw away the results as they did with Destefano et al. (2004) on the question of association between vaccines and autism? “Future studies are needed to evaluate non-live birth outcomes, such as stillbirth and spontaneous abortions.” (Sukumaran et al., 2015). They have resources to do TWO retrospective studies, but not enough to track down outcomes for patients for ONE. Other technical issues include that the studies were too small (non unusual with CDC pseudoscience studies ostensibly seeking to detect harm from vaccines) and that reviews citing those studies misrepresent them as definitive evidence that Tdap is safe for use in pregnancy – while others continue to call for safety science. CDC could have studied vaccination choices among women who died during pregnancy, or who miscarried during pregnancy. But they didn’t. “The safety of the Tdap vaccine during pregnancy is well established. Data from the Vaccine Adverse Event Reporting System, Sanofi Pasteur, and GlaxoSmithKline pregnancy registries and small studies did not suggest any elevated frequency or unusual patterns of adverse events in pregnant women who received Tdap” (Matlow et al., 2013). For the millionth time, the absence of evidence is not evidence of absence. Clearly, CDC is incapable of performing fetal outcomes research with the billions of dollars they have at their disposal, even though the CDC Foundation receives billions from Pharma, Does that mean we can just attribute the surge in spontaneous abortions, infant deaths on day 1, and maternal deaths during pregnancy to Tdap vaccination? No, unfortunately, we cannot. CDC wasted our time, and our taxpayer dollars – and as a result, we don’t have answers. Someone must now do properly designed and executed studies. Why this matters: CDC has failed to perform its duty to protect the public health. As far as I know, the NIMH can use the term “fetus” – and fund extramural studies by Universities. Billions of dollars now wasted by CDC on pseudoscience can be used instead by objective scientists to conduct objective research. They must not hold conflicts of interest. In my research, I have found that ALL ACIP members – with one exception – have conflicts of interest with Pharma that are embarrassing. The exception is a person enlisted in the US military. 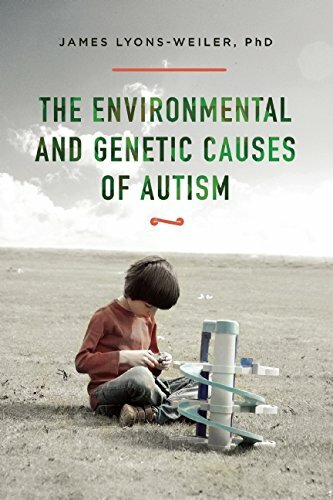 However, if NIMH has to answer to Francis Collins, he will have to learn some basic tenets of science first, including that one cannot rule out factors not included and tested in a study on causality, such as proclaiming autism to be genetic due to early developmental differences when no environmental factors were included in the study. It seems that CDC has been doing – and funding – along with Pharma – illegal, non-regulatory compliant research on vaccine safety for some time. In fact, every study of vaccines that relies on data from the VSD and VAERS violates numerous Federal Regulations. 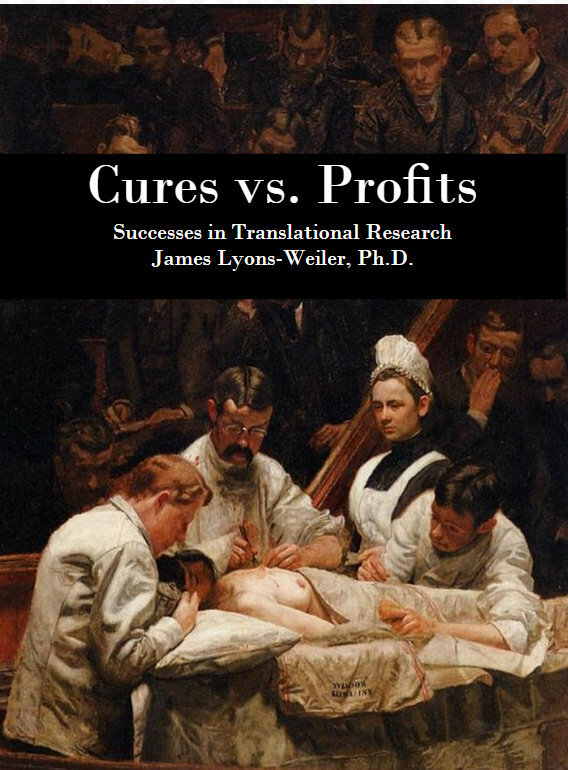 Importantly, the 21 Century Cures Act clause that allows doctors to enroll patients in clinical trials without their informed consent cannot possibly apply to post-market surveillance safety studies, because it requires that the treatment be considered safe before the study is conducted, which is utterly impossible to do (logically and ethically) because the study to determine safety has not been conducted. Why this matters: Millions of women have been experimented on to test the safety of Tdap vaccine during pregnancy without even being told that its use in pregnancy was experimental. I love my job. I get to read hundreds of sources of information a day. Sometimes, as an author, I get to interview people. People like Dr. Waldely de Oliveira Dias of the Butanan Institute in Brazil, a patent-holder of a whole-cell pertussis vaccine, who told me during the microcephaly surge in 2015 that they were using whole-cell pertussis vaccines in poor pregnant women in the slums of NE Brazil because these women could not afford the fees to get into the clinic and receive acellular pertussis vaccine. And I get to read World Health Organization Reports, like this one that showed that microcephaly was increasing in two years Brazil prior to the arrival of Zika. In 2015, up to the point where CDC announced that an aborted fetus was found with Zika virus in the brain, calling that the “strongest evidence yet” that Zika infection was responsible for the surge in microcephaly, I also interviewed medical doctors in Surinam who were puzzled because the rates of Zika infection there were just as high as Brazil – with no uptick in microcephaly. Same for Colombia. And then, magically, same in Brazil – no increase in microcephaly in Brazil in 2016, in spite of a Zika infection season just as serious. I found that one year before the increase in microcephaly, Brazil had launched their “Stork” program – a nationwide pre-natal care – with mandatory Tdap vaccination during pregnancy. The program included pre-natal vitamins for every pregnant woman – which included folic acid. But the program did not test the MTHFR status of every woman, so some women, and their fetuses, who should have received methyl folate were given folic acid instead. As you can see the number of possible contributing factors increases quickly. During my investigations, I was told by multiple sources that some doctors in Brazil became vaccine-crazed, treating it like a source of vitamins, as if as many vaccines during pregnancy as possible were helpful to the infants. I also learned that the rate of microcephaly was highest in the NE slums of Brazil, right where Dr. Dias and colleagues were experimenting with their whole-cell pertussis vaccine. To Dr. Dias’ credit, she was forthright with her information to me, and expressed concern over the deaths of infants in Brazil from whooping cough. But I wonder if the young mothers who were given the experimental vaccine were informed that they were part of an experiment? And I wonder if they were given the opportunity to opt out after being told that past use of whole-cell pertussis vaccine in infants led to serious side effects including developmental deformities and seizures? Inspection of the records of the Children’s Hospital for the past ten years has disclosed 15 instances in which children developed acute cerebral symptoms within a period of hours after the administration of pertussis vaccine. The children varied between 5 and 18 months in age and, in so far as it is possible to judge children of this age range, were developing normally according to histories supplied by their parents. None had had convulsions previously. Many different lots of vaccine, made by eight different manufacturers over a period of eight years, were implicated. The inoculations were given throughout the usual geographic range of children coming to this hospital. All but one, at the time of follow-up or death, showed evidence of impairment of the nervous system, which might still have been in the healing stage in three or four. During the same period about half as many children were seen in the hospital suffering from the encephalopathy secondary to smallpox vaccination, and about twice as many from the encephalopathy complicating pertussis itself. A variety of etiologic considerations were suggested by consideration of the reported cases and references to the literature. That constitutional factors may have been involved was suggested by both the preponderance of males as opposed to females, and by the high incidence of abnormalities of the nervous system in the family histories. The clinical course and cytologic abnormalities of spinal fluids found in acute cases indicated an encephalopathy. The literature suggested that this process might have resulted from either the activity of a specific toxin or from an antigen-antibody response. Against the former of these hypotheses was the unstable nature of the heretofore recognized toxins which could hardly survive in properly aged vaccines. The rapid onset of symptoms, occasionally within minutes of the first injection, seemed strong evidence against the second. The present study has left these etiologic considerations unanswered, but it has called attention to a risk of the prophylactic use of pertussis vaccine not hitherto recognized. In view of the impressive evidence of the effectiveness of prophylactic pertussis vaccine now accumulating, it seems likely that babies are safer vaccinated than not. Further studies should be made to prove this point definitely, for the encephalopathy following pertussis vaccine seems more devastating than the vast majority of the nervous lesions following the use of smallpox vaccine. On May 25 he was given a first inoculation of 1 ml. of combined diphtheria-pertussis vaccine (containing a plain suspension of 20,000 million Haemophilus pertussis and 25 Lf of fluid diphtheria formol toxoid). That night he was whimpering and unsettled, an unusual feature for him. Early next morning he was drowsy, hypotonic, and pyrexial, and the following morning-that is, within 48 hours of the injection-convulsive episodes began, described by a doctor then attending him as ” involving a preliminary cry which is not his usual’sound, clutching at the chest, queer breathing, and spasms of all four limbs.” Rolling of the eyes was also noted. The pyrexia settled that day, but the fits persisted (one to four daily) despite bromides. That day, too, the child was no longer sitting up, could not support his head, and was indifferent to his environment. Many will recognize that clinical course reported by Dr. Berg in 1958 as identical to the thousands of experiences of parents of children with autism recorded by Polly Tommey over the last year. Granted, there were ecological (correlational) studies since that showed no association of the use of wP in the overall population with adverse neurological conditions, but that is irrelevant. We have suspected since the 1980s that there is or are one or more genetically susceptible subgroups – and Congress mandated in 1986 that these subgroups be found so they can be saved from suffering the fate of encephalopathies from vaccines. Why this matters: CDC has failed to conduct the right types of studies to garner the right types of evidence needed to determine national vaccination policies. They have relied on 1 data point – 1 fetus – to bilk $1.1 Billion out of the American taxpayers for a Zika vaccine. They have not conducted research into other causes. Meanwhile, brains of people with autism and Alzheimer’s have been shown to contain high amounts of aluminum – and CDC has remained silent on the importance of this research in spite of the routine use of aluminum hydroxide in vaccines. These words have clear importance. CDC has failed to perform evidence-based policy formation using evidence from all of the science. They ignore studies that show association between vaccines and autism. And they pay attention to the wrong evidence. Instead of living up to the 1986 mandate to identify susceptible subgroups, CDC has instead favored the use of a “lack of evidence” at the whole-population level – in spite of the Congressional mandate. They have done NOTHING to seek identifiers of susceptible subgroups. Study after study on vaccine “safety” has failed to test the correct hypothesis: can we tell, before a vaccine is administered, who is likely to be injured and who is not? Every day, there is plenty of evidence that Hepatitis B vaccine on the first day of life is contributing to deaths in the NICU. NICU’s vaccinate all premature infants at the same time, and “crash teams” are on standby to attempt to rescue neonates who experience adverse events from the vaccine, which are never attributed to the vaccines. Deaths that occur due to the aluminum in HepB and Vitamin K shots are never attributed to the shots. Deaths are attributed to respiratory distress and to “sleep disorders”. Why This Matters: There is no evidence that Hepatitis B does not contribute to fetal deaths in the NICU – and CDC has not conducted any studies to develop evidence to the contrary. Being in the NICU is a risk factor for death from vaccination – they are a vulnerable group. CDC has not show any interest in 32 years – over three decades – in finding those individuals who are at highest risk. The era of population-level post-market surveillance studies is over. The NIH can use the billions squandered by CDC to fund studies at Universities to identify familial risk factors, biomarkers, and genetic markers and identify those most vulnerable. [Read more on the need for biomarkers here]. Yet CDC’s Tdap “vaccination in pregnancy” policy recommendation is, inexplicably, and without any clear medical benefit to the mother is, against label: “Every Pregnancy, Every Time”. Why This Matters: Use of a product against label is serious considering a single patient. For millions of unconsented enrollees in a clinical study? There are no words. It is not anti-science for a chief administrator to tell the CDC they will not be getting funding to perform pseudoscience anymore. These words are not banned for use by the CDC. Hopefully the CDC just will no longer be funded to perpetuate the myth that vaccines are 100% safe any longer. It is not axiomatic that vaccines are “safe”. In fact, the opposite holds. Fundamental logic and ethics both demand that we accept that vaccines are safe for some, and unsafe for others. For me, the most important question is: “How can we identify those most vulnerable to vaccine injury, and protect them as well?” Evidence-based answers to that question will serve both populations well. Berg JM. 1958. Neurological complications of pertussis immunization. Br Med J 2:24–7. Sukumaran L et al., 2015. Association of Tdap Vaccination With Acute Events and Adverse Birth Outcomes Among Pregnant Women With Prior Tetanus-Containing Immunizations. JAMA. 314(15):1581-7. doi: 10.1001/jama.2015.12790.